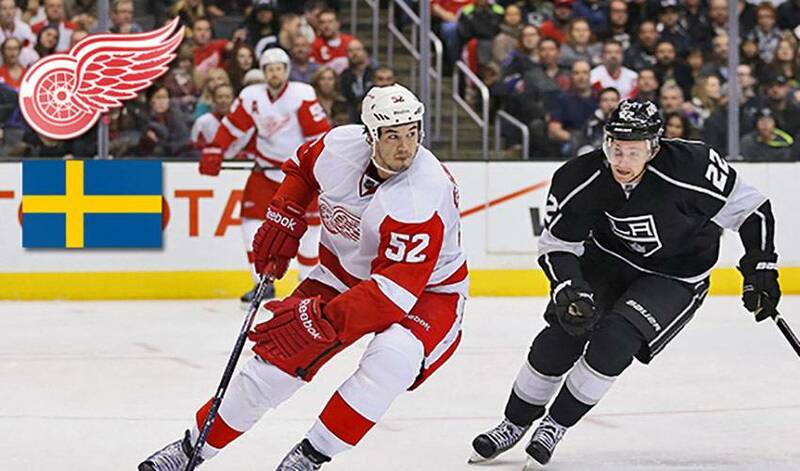 Jonathan Ericsson insists there are no plans for a Swedish revolution in Detroit. But he does admit the Motor City, namely the Red Wings organization, has indeed been kind to him and his fellow countrymen. He’s one of eight Swedes currently playing on the 2013-14 Wings’ roster, a veteran of 277 NHL games who was drafted 291st overall in 2002 by the Original Six club. The love affair between Detroit and Swedish-born players dates back to 1972 when Thommie Bergman patrolled the blueline, appearing in almost 250 games with the team. Nine years later, Detroit’s first Swedish draft pick came in the form of another defenceman, Robert Nordmark, selected from Lulea HF in the 10th round (191st overall). Since then, dozens of Swedes, including long-serving captain and future Hall of Famer Niklas Lidstrom, have suited up for the 11-time Stanley Cup champions. This season’s edition of Team Sweden, so to speak, now includes former longtime Ottawa forward Daniel Alfredsson, a most welcome addition to the group. “Last year, we were very up and down on the power-play,” offered Ericsson, of the 15th-ranked unit that had an 18.4% success rate. “We all knew he’d be great for us, not only for the power-play, but in the dressing room, too. The one thing that really surprised me is how good he is on the penalty kill. But the chemistry, even though it’s early, is there. That chemistry also exists away from the rink. What the group of players doesn’t have in Detroit, however, is a Little Sweden-type place to call their own. At the very least, there is one familiar reminder of their native land in Detroit. “We have an Ikea, so I guess that’s pretty Swedish,” quipped Ericsson. As for any thoughts of the Swedes trying to convince management to change the team colours from red and white to the yellow and blue of Sweden’s national jersey, Ericsson is quick to dismiss the idea. “Not going to happen,” he said with a laugh. It doesn’t matter anyway. Ericsson and his friends already feel right at home.